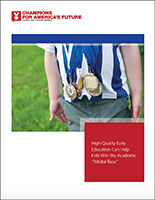 The report brings to light new data from the Organization for Economic Cooperation and Development (OECD) showing that American children are far back in the pack when it comes to the international “medal count” on academic achievement. 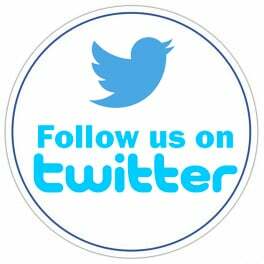 America’s 15-year-old children finished 25th in science and 40th in math out of the 72 countries taking the (OECD) PISA exam in 2015. This is in stark contrast to the USA’s dominating performance at the 2016 Rio Olympics winning 121 medals compared to second-place China’s 70 medals. 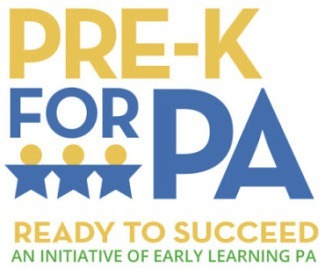 Even with recent increases in state funding, there are over 112,900 eligible children who qualify for high-quality, publicly funded pre-k but remain unserved. 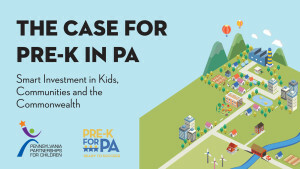 This report highlights the unmet need across all 500 Pennsylvania school districts and provides a contextual outlook for rural, suburban, and urban areas of the state. 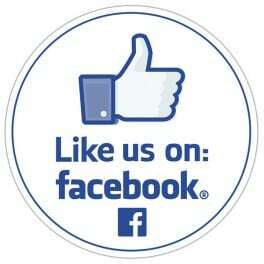 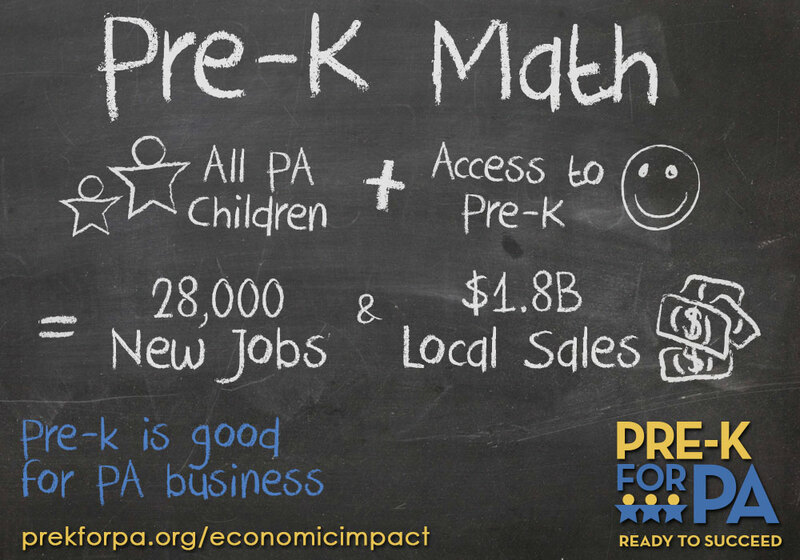 Smart Investment in Kids, Communities and Commonwealth. 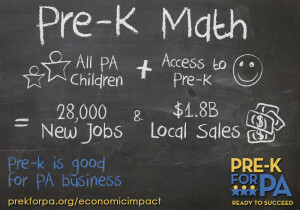 PA Partnerships for Children’s annual report details how well Pennsylvania is doing in preparing its youngest children for school by gauging progress on several child well-being indicators, including access to high-quality pre-k and child care, health insurance coverage and early intervention services. 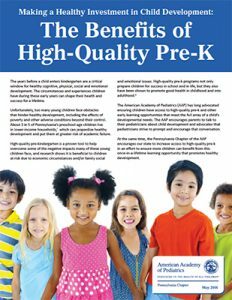 Making a Healthy Investment in Child Development: A report from the Pennsylvania Chapter of the American Academy of Pediatrics. 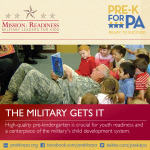 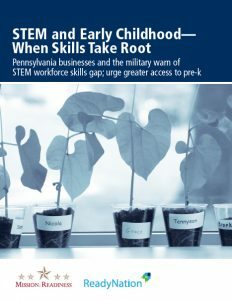 Pennsylvania businesses and the military warn of STEM workforce skills gap; urge greater access to pre-k.